Wild mustard is despised among native plant activist. It smothers native plants and flowers transforming the landscape of the United States. Each plant can produce up to 500 seeds allowing it to spread rapidly. It is also allelopathic meaning its leaves and roots exude compounds that inhibit other plants from growing. When it dries up in the summer it provides fuel for wildfires. In Southern California, early spring brings wild mustard blooms. A dense yellow climbs up and down the hills of the Santa Monica Mountains and frames the oak trees. This invasive plant is beautiful. It is also nutritious and has endless versatility in the kitchen. Wild Mustard is a beautiful Invasive. Wild mustard is native to Eurasia and shares the brassica family with garden favorites like broccoli, cabbage, kale, brussels sprouts and pok choi. 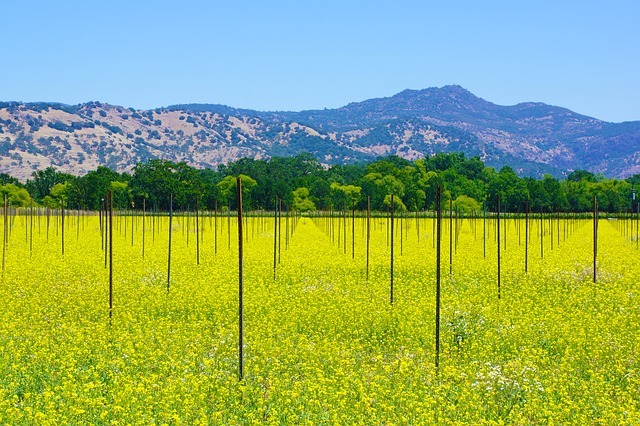 There are many different types of wild mustard in the United States. If you live in the eastern part of the country you have probably encountered garlic mustard (Alliaria petiolata). 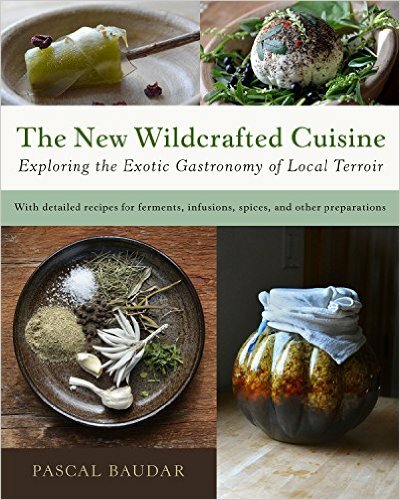 In Southern California, we mostly encounter black mustard (Brassica nigra) and Sahara mustard (Brassica tournefortii), a native to North Africa that has found a home in the deserts of California. Sahara mustard, one of the more recent mustard arrivals, has inspired a mythology around its journey to the United States. My favorite story claims that Spanish explorers spread the seed in order to create a golden pathway to find their way home. In reality, the Sahara mustard probably arrived in the 1920’s along with the date palm industry in the Coachella Valley. The foragers rule, harvest only a small amount of any one plant, can be ignored when harvesting wild mustard. Instead, harvest the whole plant and rip out a few more plants while you are at it. Eating wild mustard helps reduce this invasive species and gives your local plants a fighting chance. 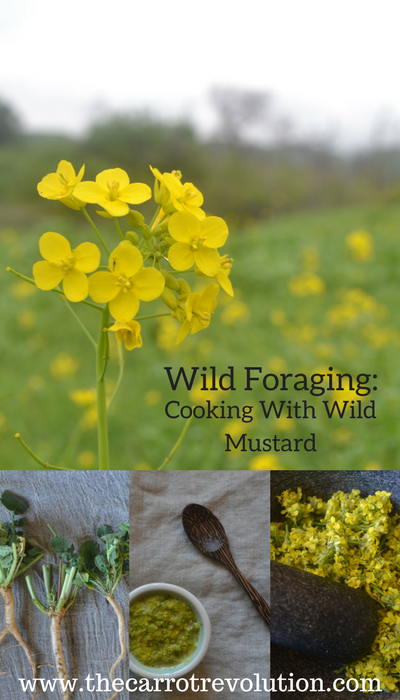 Every part of the wild mustard plant is edible and below I offer a few wild mustard recipes. 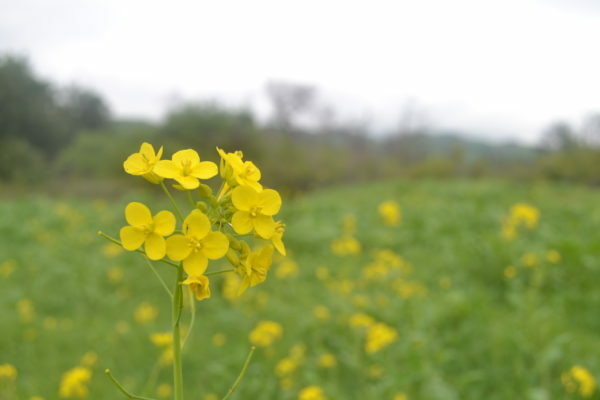 Mustard flowers have a sharp mustard taste with differing levels of spice depending on the type of mustard (black mustard being one of the spiciest). This mustard is strong and only requires a small amount to flavor food. 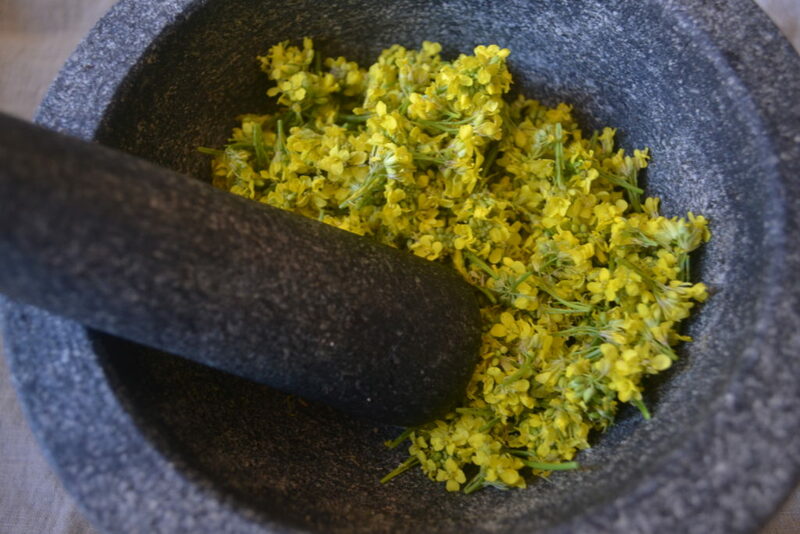 Young mustard leaves can be substituted for the flowers. Grind all of the ingredients until a paste is formed. 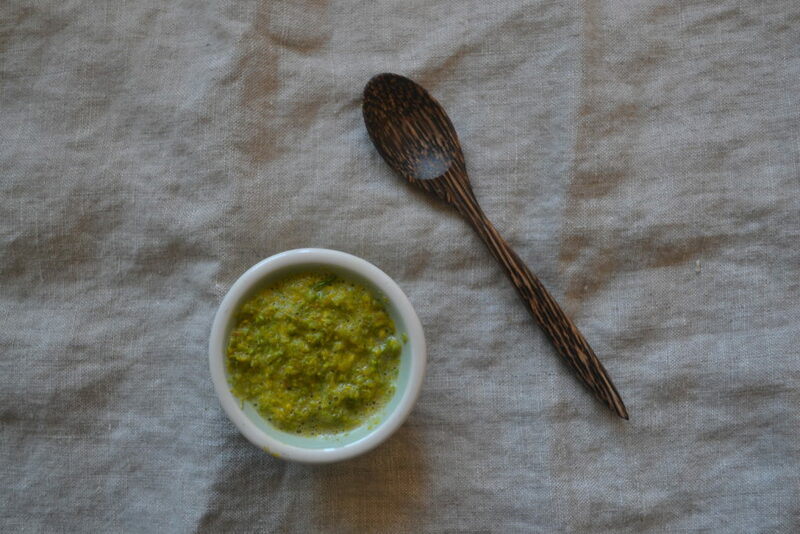 I like to use a mortar and pestle for a more coarse mustard and a Magic Bullet Blender for a smooth mustard. A small amount of this mustard goes a long way. Mustard greens are sharp when raw. The best way to prepare them is to steam or boil them in water for a few minutes. From there you can substitute them for spinach in any recipe or just eat them with some olive oil and lemon. 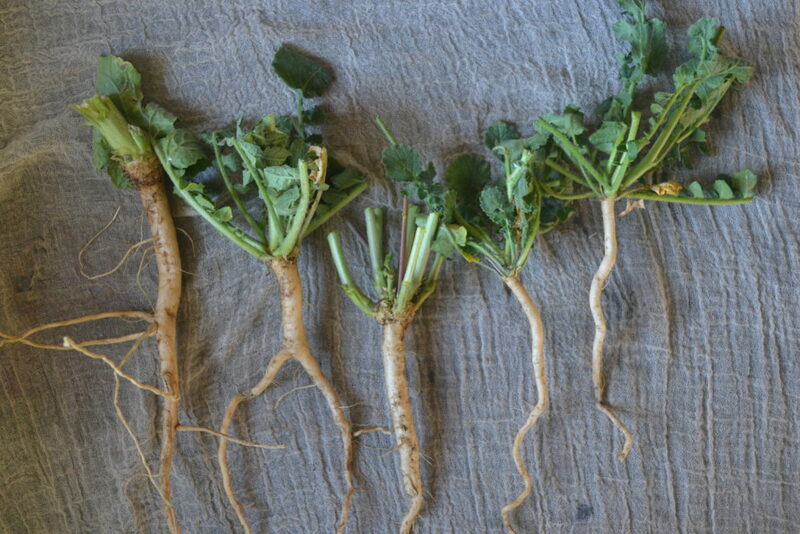 Mustard roots are the mildest part of the plant. I grate them and use them in this horseradish-like sauce. Note that the roots are very tough, a good grater is a necessity. Whisk all of the ingredients together in a medium bowl until creamy. Cover and place in the refrigerator for several hours to overnight. 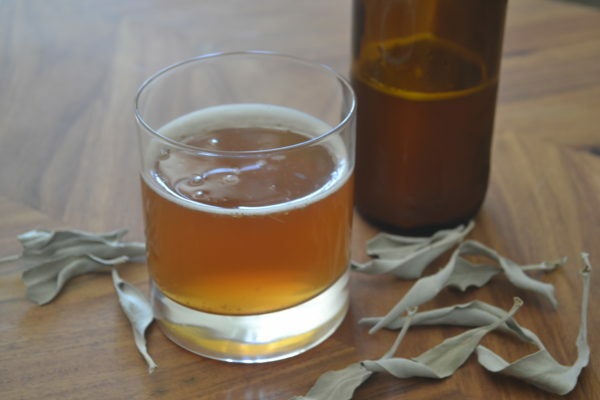 Can be stored in the refrigerator in an airtight container for up to three weeks. 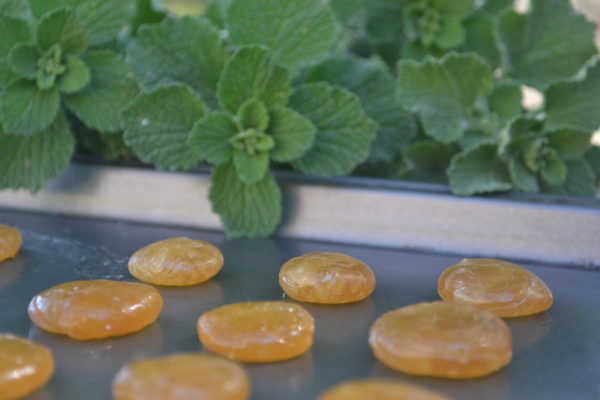 Do you have any other ways you use wild mustard? Let us know below.